When I opened up the freshly upgraded D2L today, I was both excited and nervous. I knew there were some great improvements coming (outlined here by Arwen: https://wordpress.viu.ca/ciel/2012/11/14/d2lv101review/ ), but I also knew some of the changes would affect the look and feel of content areas. I spend a lot of my time in content cleaning up courses, so I was a bit disoriented when I first opened up my course. When you select Course Materials on the minibar, and then go to Content, the interface looks like a combination of Manage Content and Course Builder. I actually really like the look of this area. As Arwen outline in more detail (link above) there is drag-and-drop functionality, not only to re-order modules and files, but also when uploading from your desktop. 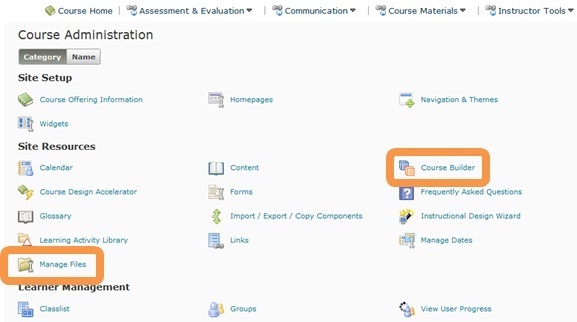 A couple of other neat things is the Course Overview area where you can have course outlines and other introduction material, and the added feature of being able to add descriptions to your modules. Simply go to Instructor Tools and select Edit Course. 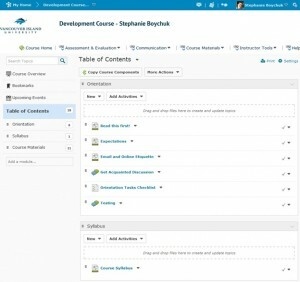 Under Site Resources, there are links to both Course Builder and Manage Files. 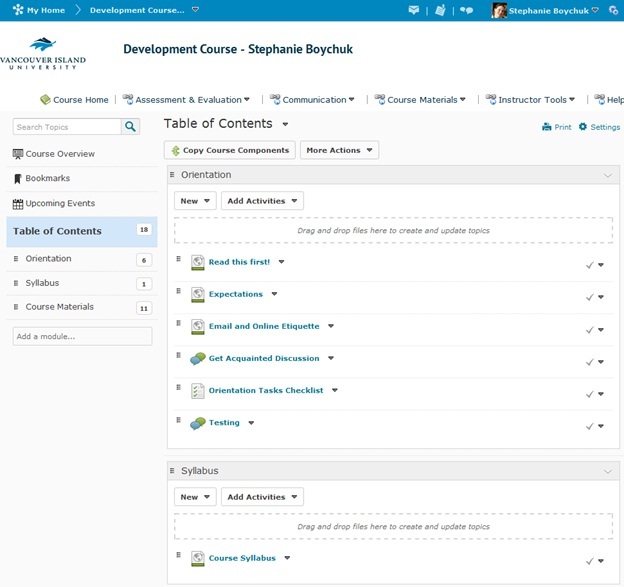 You can also select Instructor Tools and Course Builder. In the top left hand corner of the Course Builder screen, you can see the buttons to take you to Manage Files or back to the Content screen.